The Paris Fintech Forum has emerged as the top European FinTech conference, the one I would not miss. The 2019 edition will again be a two-day affair. It’s being held on January 29th and 30th at the Palais Brogniart in the 2nd arrondissement of Paris, site of the former bourse. Despite the name, this is really an international event. Attendees are expected from more than 70 countries. More than 2,600 people will gather to hear 220+ speakers, including CEOs and senior executives from banks, insurance companies, FinTechs, and their regulators.More than 200 FinTech CEOs from around the world will participate in panels, pitches, and in booths on two exhibition floors. All sessions will be conducted in English, which is almost unique for an event in a non native-English-speaking country. Tickets are available here. Be forewarned — previous Forums sold out. 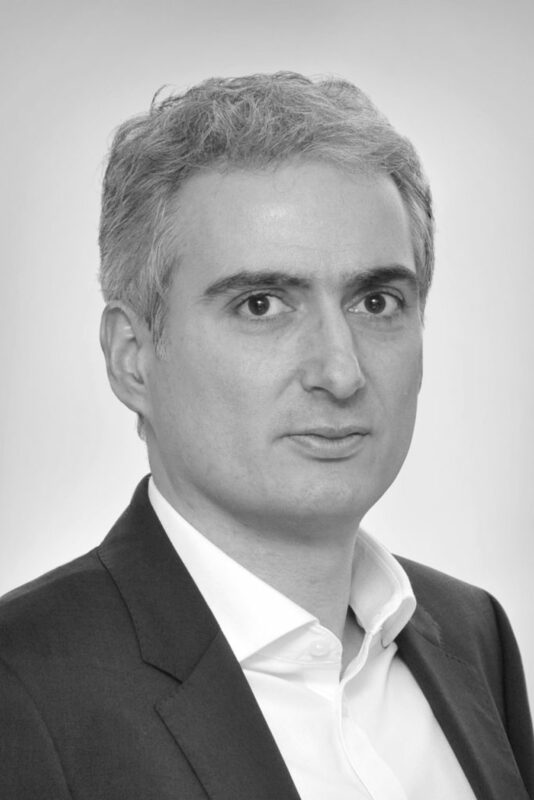 Laurent Nizri is founder of and driving force behind the Paris Fintech Forum. Q. Laurent, how would you describe the Forum to someone who has never attended? A. It’s the most exclusive event in Europe regarding digital finance and the FinTech era. A. Honestly, I don’t think doing new things every year is the goal. What we try to do is to continue the track we began to build three years ago, meaning to have a very high-end event in terms of speakers and attendees. We are doing that with big geographic diversity, big vertical diversity — meaning we have payments, lending, InsurTech, wealth management, regulation, and so on. And we try to keep the stage to CEOs only. Even if we have a few exceptions, I think we have 95% CEOs and chairmen on stage. Perhaps there are small changes. Last edition we had two days pitch stage. This year we do only one day pitch stage because people wanted more panels. This year we have more lounges. Most of our partners this year are organizing one-on-one meetings in the lounges for real business. For example, if you want to develop a payments business, Visa will have a lounge with pre-organized one-to-one meetings between attendees and top Visa executives. Too many events simply take your time. You go, and it’s tourism. What we try to do is provide people a return on their investment. For people to go, they invest money, because they have to pay to be there, and they invest time. You should have a return on that investment — new partners, media exposure, new customers, and of course your network. We want everybody to find a good reason why they came. Every year, we refuse partners. We accept some and we refuse some because we want meaningful partners. We want partners who organize useful experiences for our attendees. Real meetups, real workshops. We have some workshops by Mastercard, Deloitte, by Linklaters, by Wirecard, by Finance Innovation, and by Credit Agricole because we know they will do meaningful stuff on their stages. So, basically, that is it. It will be, I think, the most packed edition. As you know since you were there, we had big success the previous years. The problem is, we cannot grow because I keep the same venue. I love that venue (the former French stock market exchange in the heart of Paris). Last year, we were fully booked one day before the event. Today, we are already booked 130% above the target of last year at the same date. I can tell you we won’t be able to sell tickets to everybody who wants to attend. One thing which is good is that we wanted to be a bit higher in terms of international representation. Last year we had 48% foreigners. I am happy to share that this year as I look at the figures, we are around 50%. On stage, we have much more. On stage, we are like 80%. We are happy with that. The level of seniority is higher still. We have only CEOs on stage, and a huge percentage of CEOs and C-levels in attendance. We are happy for that because we want people to be able to make business decisions together. So, to answer your question, no big news but still-better quality in the execution, I hope. Q. Which themes are you most looking forward to exploring? A. There are many! We are always a bit ahead with our questions. For example, we’ve spoken a lot of PSD2 in ‘17 and ’18 so we’ll speak much less of it this year, even if for many people it’s still new. We will speak a lot about the future of digital finance. So, for example, we’ll have a panel with Christine Lagarde (CEO of the International Monetary Fund), the CEO of BBVA, the Governor of the central bank of Sweden, and the Kabbage CEO. We’ll also talk a lot about Europe during the Forum. We’ll have a panel with the Governor of the Banque de France and an official of the European Commission to discuss that. We’ll have a panel on innovation versus regulation with the CEO of AMF, a regulatory body in France, a European parliament member, and the CEO of Transferwise. We’ll have the discussion everyone will be waiting for between the CEO of Swift and the CEO of Ripple, which promises to be nice. We’ll talk a lot about digitalization. It’s not just FinTech, it’s how the whole financial system is digitalizing. We’ll have a panel with the CEO of Orange Bank, the CEO of Visa Europe, and the CEO of WorldRemit to discuss this. We have also an issue about how to fuel growth. More and more, when you open the newspaper it seems like FinTechs need billions to fuel their growth. So, we’ll have the CEO of Euronext (the stock market), the CEO of Revolut, the CEO of Seedrs, and the CEO of PayU to discuss how to fuel that growth. Of course, many people think we have seen everything already that can be done in payments. We have a panel to discuss what can still be done in payments. Where are the opportunities? We have the CEO of Airwallex, the CPO and board member of Wirecard, the cofounder of SumUp, and the CEO of Marqeta. As always, we need to discuss what happened with blockchain. So we will have our usual blockchain and crypto panel. We will also talk about AI. We have a few panels on AI. We have a nice one in the Grand Auditorium with a big bank CEO (from Credit Mutuel), a writer of AI fiction, Calum Chase, and the CEO of the FinTech FeedzAI. I’ve been speaking of the general sessions, but we have plenty of other tracks with fascinating discussions. For example, we will have a disrupted bank track, where we’ll have a panel with many challenger banks discussing their status and where they go from here. We’ll have Monese, Atom Bank, MoneyLion, Zopa. We’ll have a full alternative lending track. When you look at the big numbers, they are in alternative lending. Q. For people who are not familiar, how are the FinTechs selected? A. Mainly, it’s an application process on my website. This year, we had almost 900 applications, and I read every single application. I try to select the ones I think will be most interesting to my audience to share what will happen in 2019 in the finance industry. I need diversity in geography, diversity in verticals, and also to renew myself. I think 90% of the FinTech you will see this year were not there last year. Even if they were all nice last year, we try to change. It would be easier to select the same ones each year because already my selection last year was great, but I am trying to change and give a chance to many to be on stage. Another thing is on my stage you will see a lot of Unicorns. Some of the FinTechs we have on stage have raised €500 million, but you will also see many new players. Not the very, very early stage — most of them have raised something and/or do have a customer base. Maybe not a lot, but there are very few without capital or clients. Selection was finished only three weeks ago. Q. It is too late for someone to apply now? A. Definitely. But they can apply on my website for the 2020 edition. We are already putting together the 2020 program which will be in exactly the same place on almost the same date next year. We have already some speakers confirmed. Q. Were there any new trends among this year’s applicants? A. Not new, because, as you can imagine, since 2015 we’ve seen a bit of everything. What is different is the number. We see a huge number compared to the previous year of blockchain projects. A bit late compare to the buzz indeed. Also something different is the huge number of very mature FinTech in some business verticals — in lending they are beginning to be all quite large. Also, many more applications from emerging countries, including India and China. From China, for example, this year we welcome CreditEase and Asset Pro. One vertical we would like to see more applications from is wealth management. We see some smaller applicants but not so many big guys, because there aren’t so many big guys in wealth management in Europe, yet. As we saw last year, we see a lot of B2B2C FinTech. They are working with incumbents and not against incumbents. Q. I’m very much looking forward to seeing Christine Lagarde, head of the IMF. What are you planning to ask her? A. One question will be how she sees the future of finance in the digital age, followed by what digital finance can bring to the world, for the good of the world. Q. What do you see as the most significant events in French FinTech in 2018? A. People think because the name is Paris FinTech Forum that I am the guy for French FinTech, but most of my year I am exploring FinTech abroad! I am everywhere but not in France. To answer your question, I think the main changes are from the government, for example with new laws for ICOs. I see French regulators working more closely with FinTech to make things happen. It is more and more becoming a reality that the French try to promote FinTech development. A good ecosystem for that is one of the changes. Some big change comes from abroad, with Brexit. France, among others, is becoming a real alternative. This is not what I like. My best dream is that the UK stays with us. One thing I forgot to mention is that we close the event this year with a panel of the ministers of finance from four European countries — Belgium, Luxembourg, Lithuania, and France. Q. You mentioned B2B2C. Do you see a change in the way established firms and FinTechs are relating to each? A. Honestly, for experts like us there is nothing new. But for people in the middle of the arena it is different. FinTechs are maturing. Yes, it is hard to work together, but we can do it. Yes, even if we put in place a FinTech team in our bank, we cannot do a new project in three days, my friend, we have to work six months. Just like in normal life. And yes, we can fail! Look at what happened between BPCE and Fidor. Q. I was going to ask you about that. I knew, when I saw them on your stage, that something was not right. A. We can fail, and that’s not a big deal. Things happen. We should not be ashamed that a big bank tried and saw at the end of two years that they did not have the same objectives and the same DNA and said, let’s split! They just did not find the good path together. This is usual business. We should be proud that a big, tier one bank in Europe had the courage to do it and to do it again, because they continue to invest. And I’m sure that Fidor will continue to try to grow doing something else, not perhaps aligned with the BPCE strategy. Q. Which model do you think has been most successful in fostering real innovation at large firms? Is it a venture fund, an accelerator program (their own or engagement with someone else’s), a hackathon? Or is it really that each company has to do things its own way, and find the approach that fits its particular culture? A. I think that models are good food for consultants to sell to businesses. The reality is that we are all different. Banks and financial institutions are all different. Some have a dedicated team for innovation, some are not very centralized. You cannot really say. There are thousands of FinTechs and they are all different. Some are done by newbies, some are done by very experienced entrepreneurs who know very well the ecosystem. You have some with networks, some without, some with money, some without. So you must take it case by case. I don’t believe in a special recipe. Q. What is Paris Finance Week? A. 50% of our attendees come from abroad and some of them come from very far away. It is silly to come for only two days even though our event is packed from 7:30 in the morning to late at night. So, we asked some people in the ecosystem to organize other things. This is the first year. We will have 10 – 15 side events. Much smaller, of course, but very focused. We want to make it worthwhile for people to spend the whole week in Paris and discover other things. Q. Is there anything else you would like people to know about this year’s Forum? A. We know the industry is facing a major challenge because of a lack of gender diversity. Last year only 10% of the speakers we had on stage were women. This year we will have around 25%. We are also hosting a debate lunch on the second day of the event to discuss gender diversity issues. We will communicate on our website and on social media conclusions and recommendations from that discussion.